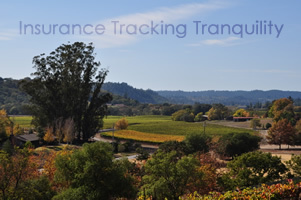 QuieTrack Insurance Services Corporation is a privately owned, California domiciled, Managing General Insurance Agency that focuses on uninsured collateral risk mitigation for small to medium sized west coast financial institutions. We are primarily regulated and licensed by the California Department of Insurance and have the ability to conduct business in any state of the union. QuieTrack provides, Collateral Protection Insurance, Mortgage Hazard Insurance, Equipment Physical Damage Insurance, Forced Ordered Flood Insurance, GAP Insurance, insurance tracking services and insurance tracking software development and support. Headquartered in Santa Rosa California with sales representatives through out the Western United States, QuieTrack excels at relationship-centric services, cutting edge software and value constant insurance products that exceed our client’s expectations. We were originally founded in 1971, in San Francisco, California by Herschel A. McGuire as Autobank Insurance Agency. Herschel developed the first successful on-line real time insurance tracking system in the United States and evolved Vendors Single Interest VSI insurance into Collateral Protection Insurance CPI, as we know it today. His original system has been under continuous evolution for over 38 years and at present delivers an extensive record of insurance tracking and CPI data, premium accounting, management reports, and insurance document images among other things. This wide array of critical information is delivered to our clients via our state of the art, secure, on-line, real-time website. Our west coast client base has prudently and consistently expanded and comprises numerous credit unions and banks that have benefited from relationships spanning more than 25 years. Thus, confirming our extraordinary stability resulting from our long-term approach to business. We have clients as small as $5 million in assets to larger clients with assets in excess of $800 billion. We have the unique ability to serve clients of most any size and need. We employ 22 full time employees and are located in the lovely, Northern California, Sonoma County, wine country city of Santa Rosa. This includes administration, software development, call center, data processing, policy and claims administration, premium accounting, imaging and incoming - outgoing mail processing. Our sales team consists of five California based independent agents who market our program to credit unions and banks. We also retain the services of three additional software development professionals and a well-established website development company located in the Silicon Valley. In 2000, Autobank fulfilled its generational succession, as Kevin McGuire acquired the agency from his father. Kevin is a licensed California, Nevada & Arizona property & casualty and life & disability insurance agent and has been with Autobank since 1981. His broad knowledge and experience in insurance tracking, collateral protection insurance, data processing and system development span more than twenty-eight years. This single ownership structure enables us to act quickly and decisively to serve our client’s unique & immediate needs. Red tape is not a factor at QuieTrack. In 2006, the agency was renamed QuieTrack Insurance Services Corporation. The new name embodied our fresh approach to insurance tracking. Our inventive methodologies combined to dramatically cut the false placement of CPI coverage on our client’s portfolios. The desired result was achieved and QuieTrack brought a “Quiet” to a traditionally “Noisy” service. Our clients consistently benefit from a remarkable increase in borrower satisfaction, coupled with substantial time savings for their staff. With our commitment to outbound calls to borrower’s insurance agents, QuieTrack effectively raised the bar on a stagnant industry. Now, practically every lender insists on out-bound calls in their CPI program due to our innovations. In 2006, we re-entered the tracking software-licensing sector after an absence of 15 years. A prominent CPI tracking company contracted to operate their agency on our software. This alliance has proved influential to their continued growth in the southeast US market. We continue to seek new software clients and grow this aspect of our business. In Q-1 2009, we will release our newest client web portal. This new site features new and improved management reports, claim imaging, combined with more efficient navigation, and system security enhancements. QuieTrack is classified as a “Managing General Agency.” This means we administrate all aspects of our insurance program, from client underwriting through claim payment. No aspect of our tracking operation is off-shored, or out-sourced. The only function that occurs outside our facility is the appraisal of the damage for claim processing by independent, licensed damage appraisers. QuieTrack is a California domiciled corporation, licensed by the California Department of Insurance. Our insurance programs have been underwritten by Arch Insurance Company since 1999. Arch is a recognized, well-respected, industry leading, quality underwriter of forced placed insurance and a member company of the Arch Capital Group, LTD, a worldwide insurance service organization with assets of approx. $1.3 billion. A.M. Best has assigned a financial strength rating of "A (Excellent)" to Arch Insurance Group's principal insurance subsidiaries, Arch Insurance Company, Arch Specialty Insurance Company, and Arch Excess and Surplus Insurance Company. In addition, On October 8 of this year AM Best increased the Arch issuer credit ratings (ICR) to “A+” from “A”. The ultimate parent company of Arch Insurance Company, Arch Capital Group, Ltd., is a publicly traded company [NASDAQ: ACGL] with shareholder equity (book value) of over $3.5 billion. It has insurance and reinsurance subsidiaries in Bermuda, the United States and Europe. Their subsidiaries provide a full range of property and casualty insurance and reinsurance products on a global basis, with a focus on specialty lines of business. Arch has maintained a conservative investment strategy, which stands in stark contrast to the investments of many other insurance organizations that have experienced significant financial problems. Arch does not carry investments in collateralized debt obligations (CDOs), collateralized loan obligations (CLOs) or credit default swaps (CDSs). Our personnel, systems and processes are well developed and refined. Our management team is highly qualified and long standing. Our call center and data processing center staff is well trained with an average tenure of over 7.5 years. We can expand rapidly to meet the needs of most any client. We have the capacity and skills necessary to add a new client with 100,000 loans. We deliver our promises for new clients with concise and deliberate methodologies and extensive automation. A long-standing principle of QuieTrack is our fiscal conservatism. We do not carry debt, nor have unsound investments in collateralized debt obligations (CDOs), collateralized loan obligations (CLOs) or credit default swaps (CDSs) and are equally prudent with our overall development. Like our logo of the magnificent sequoia tree, it is our core principle to advance with sustainability, strength and most notably, integrity.